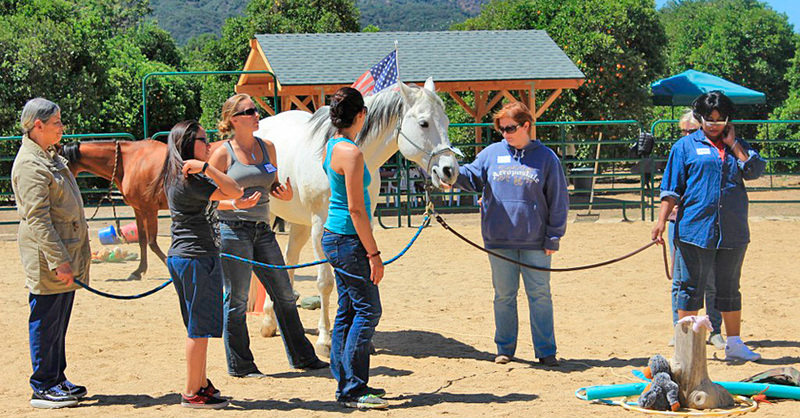 Equine Assisted Learning (EAL) is an innovative, transformative and solution- focused program utilizing the natural herd dynamics of horses as co-facilitators. Our professional team consists of an EAGALA Certified Licensed Marriage Family Therapist, an Equine Specialist and the horses. This type of learning approach is experiential in nature. 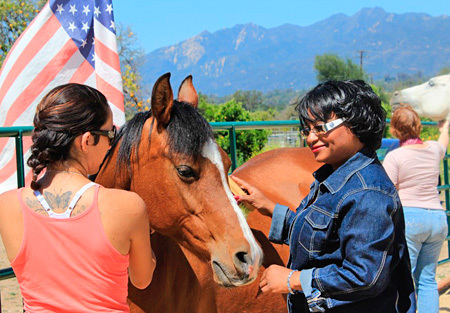 We offer a unique non-riding experience with horses. Through activities tailored to couples, corporate teams and organizational groups, we explore your leadership, team dynamics, patterns and communication styles. We develop synergy and capitalize on strengths and resources to achieve effective results, increase perfomance and meet your goals. Through the use of interactive experiences we offer insightful and effective means to redefine corporate and management goals and practice effective ways of leading. Research states that in order to survive as a corporation or organization, it is necessary to be in constant and permanent states of learning. Furthermore, it is self-awareness that will transform management into leadership.